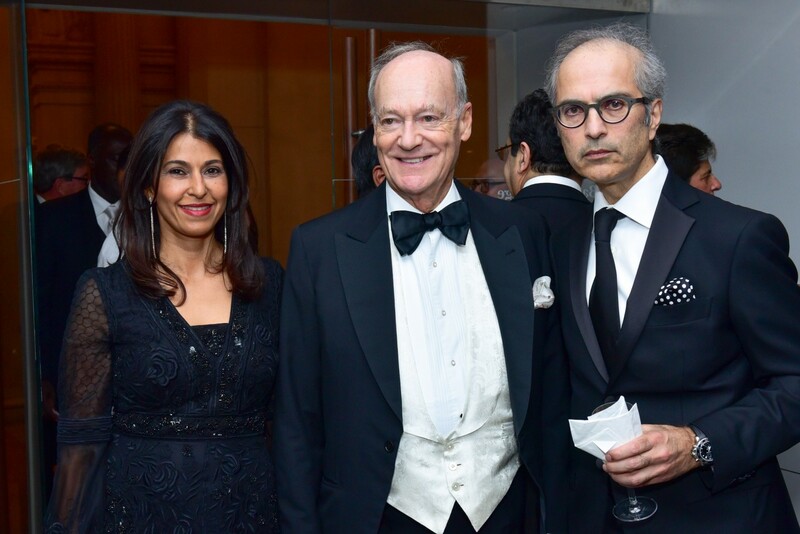 The Aga Khan Foundation (AKF), an agency of the Aga Khan Development Network, hosted its second biennial gala in New York City on Wednesday, November 15th at The Metropolitan Museum of Art. The Gala raised 2.5 million dollars for the foundation. As a member of the Aga Khan Development Network, one of the world’s leading poverty solutions networks, AKF makes long term investments, from early childhood programs to universities that benefit 2 million students every year. The gala came just weeks after two major awards were presented to His Highness the Aga Khan. The United Nations Foundation presented him with the Champion for Global Change Award. He later received the Asia Society’s Lifetime Achievement Award – the Society’s most esteemed – at the organization’s Game Changer Award ceremony in New York. Both awards recognized the Aga Khan’s decades of work, dedicated to improving the lives of people everywhere. The gala honored the Aga Khan Foundation’s 50 years of innovative programs that improve the quality of life for millions. As a member of the Aga Khan Development Network, one of the world’s largest development organizations, the Foundation partners with communities across Africa and Asia to build better futures together. This year’s theme was “Educate Today for a Brighter Tomorrow,” and will focus on the Foundation’s pioneering work in education. One of the key factors in breaking the cycle of poverty is access to quality education. AKF is particularly proud of its deep and longstanding work to educate girls and women in some of the world’s poorest and most marginalized communities. 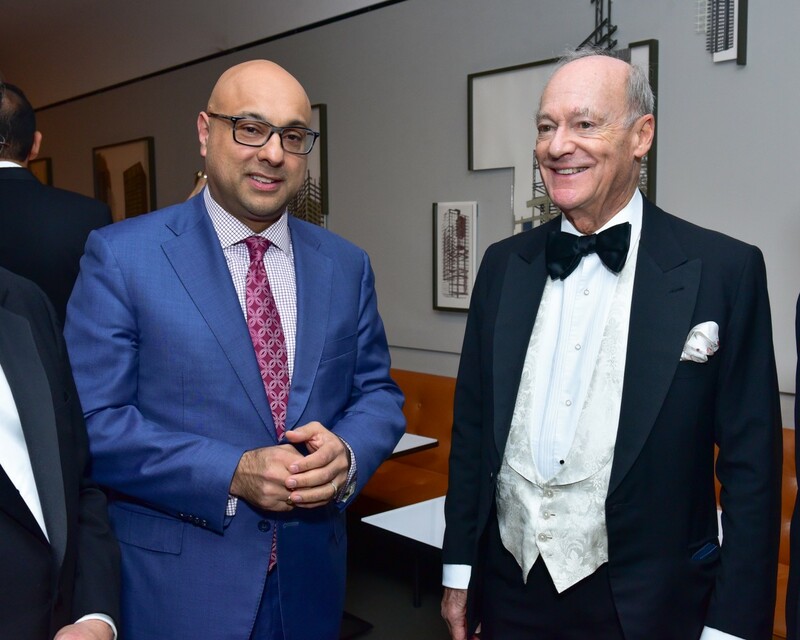 The gala, which was attended by Prince Amyn Aga Khan and Aleem Walji, CEO of the Aga Khan Foundation U.S.A., along with 500 supporters, raised 2.5 million dollars for the foundation surpassing their initial goal by half a million dollars. Besides raising funds, the event raised awareness about AKF’s work among leading members of the New York business, media, political, civil service, and academic communities. -This year’s Gala was Co-chaired by Naznin Khimji and Karim Rehmat. -MSNBC Anchor and Business Correspondent for NBC News Ali Velshi served as master of ceremonies for the evening. -This year’s keynote speaker was Dr. Vartan Gregorian, Ph.D., President of Carnegie Corporation of New York. -Tony winner and Hamilton star Renée Elise Goldsberry performed a special musical number at the gala titled “Borrow Me” to close out the event. 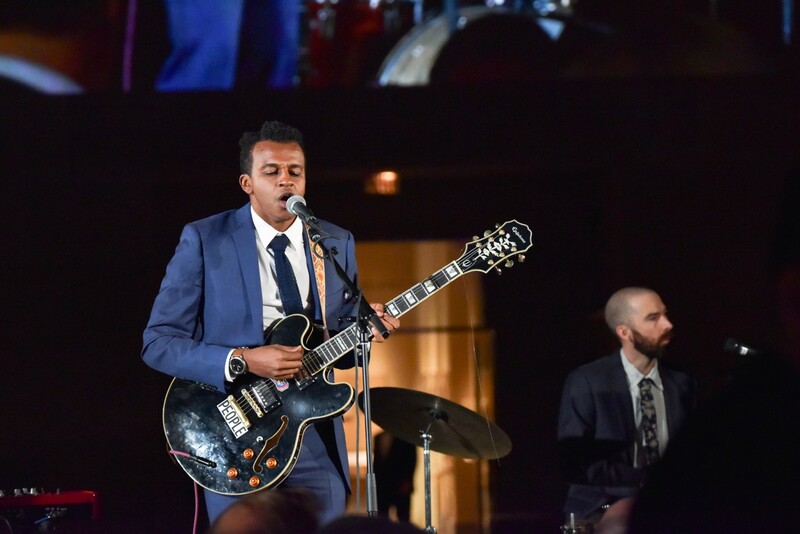 -The band Sinkane, who recently made their TV debut on The Tonight Show with Jimmy Fallon, provided musical entertainment. Joan Hardy Clark, Navina Haidar, Dr. Barkat Fazal, Dianne Whitty, Kathy Calvin, Matthew Moneypenny, Cece Coffin and Jon Reinish. AKF thanks its Leadership Sponsors: Blackstone, Highgate and HG Vora and Innovator Sponsors: Gencom, JP Morgan, Innventures, Rockpoint, Westmont Hospitality Group, Local Six, UNITE HERE and New York Trades Council.